The Study about effectiveness of measures for prevention of spreading of the oak lace bug - Oikon d.o.o. 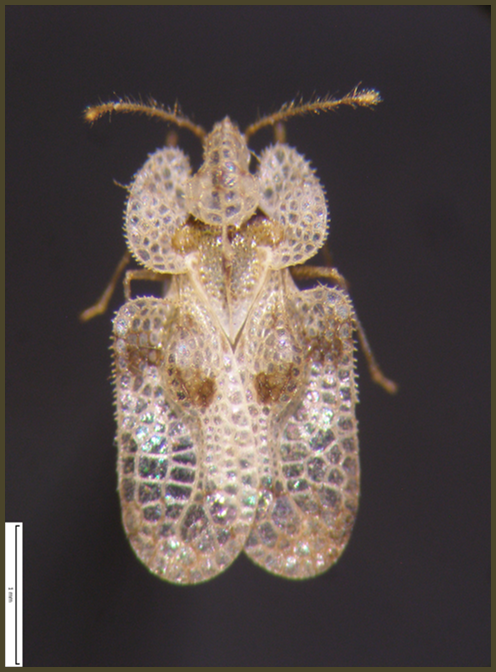 The oak lace bug – Corythucha arcuata (Say, 1832) (Insecta: Hemiptera: Tingidae) is a new invasive pest in these areas. Given that this is a new species in the field, there is rare research of the harmfullness/potence in new ecosystems and it is not possible to estimate the potential extent of damage. After only a few seasons, the pest spread to most of the Spačva basin and was noticed in other forest complexes, mainly along the highway, which is the main road for cargo and timber transport. If the Spačva basin is under severe attack is also apparent by the preliminary satellite survey conducted under the Pest Risk Assessment – PRA. In this study, existing literature on the biology of this insect has been elaborated, as well as its mentions in scientific literature. Field data from Croatian Forests Ltd. and the Croatian Forestry Institute on attacked sites was analysed and mapping of the scale of the attack was carried out based on satellite imagery from the past few years of stronger attacks by this pest. MODIS satellites were used, namely 16-day NDVI composites. Deeper analysis of satellite data has more accurately determined the way this pest spreads. Current efforts (chemical, biotic, etc.) to counteract this pest have also been made analysed with an overview of results, as well as the measures for slowing down/stopping the spread of this insect. In conclusion, an assessment is made of the effectiveness of the “ORDERS ON UNDERTAKING MEASURES FOR PREVENTION OF SPREADING THE HARMFUL ORGANISM “Corythucha arcuata (Say, 1832) – The oak lace bug” with instructions and suggestions on further steps at the level of the Republic of Croatia and the European Union.